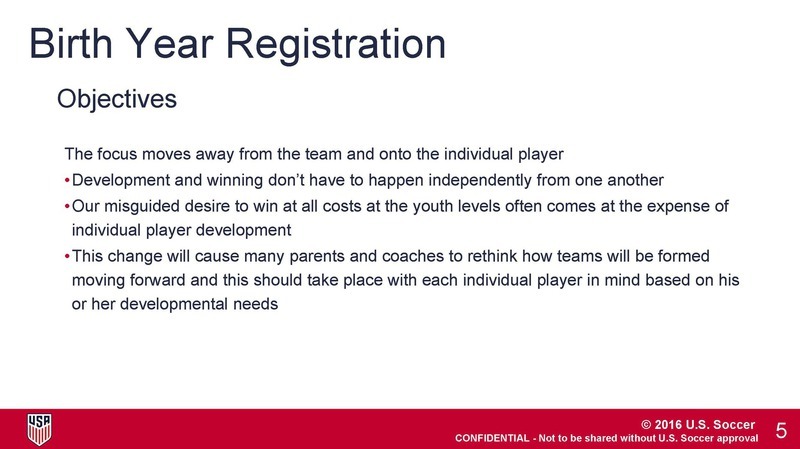 A critical aspect of Responsible Coaching is building the team culture you want by gaining buy-in from players’ parents. 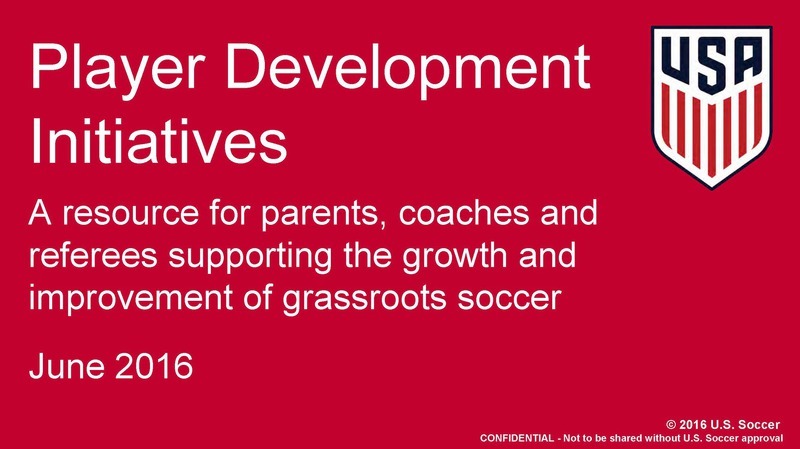 A group meeting with parents and guardians is a wise investment - people tend to live up to expectations if they know what those expectations are! 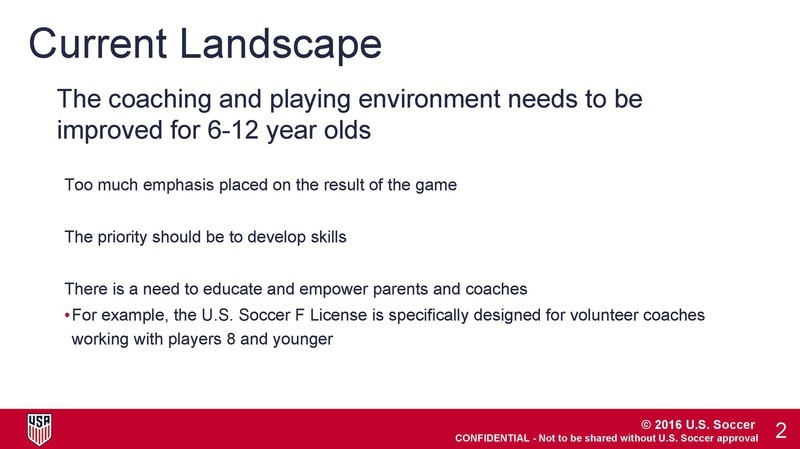 Ideally, you would lead a parent meeting in a private setting where you can have the group’s full attention. 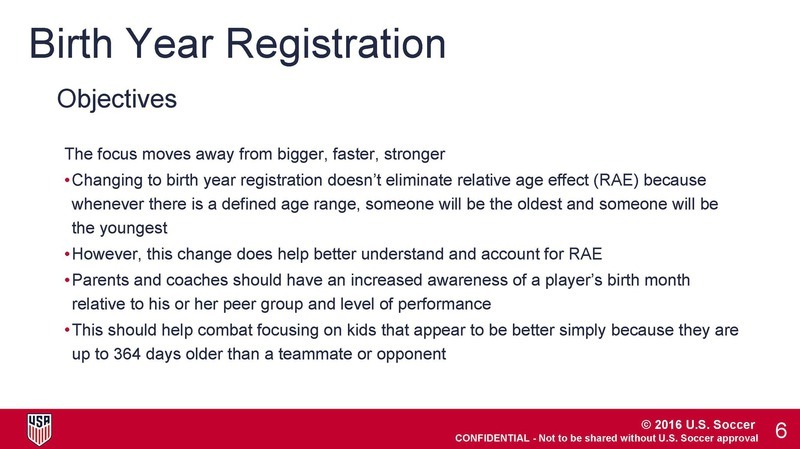 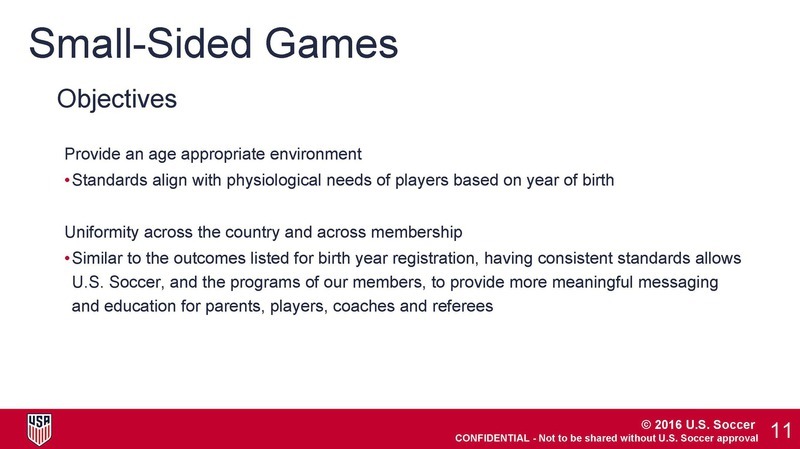 If this is not possible, then the meeting could occur before one of the first practices or games when parents would need to drop off their child anyway. 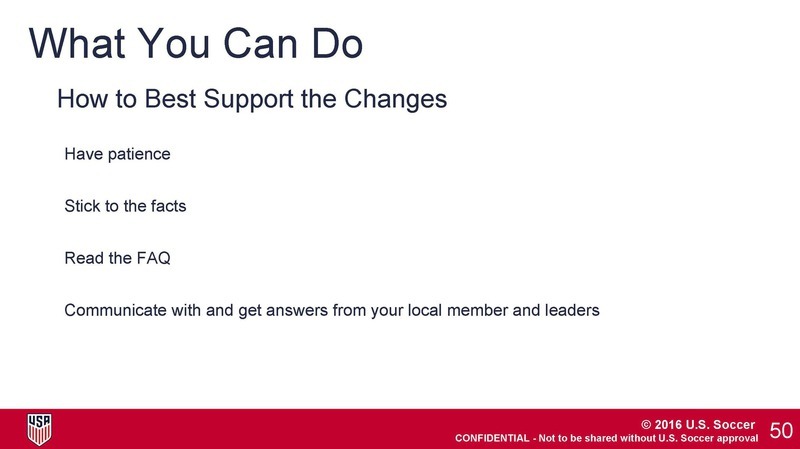 It is a great idea to create an agenda for these meetings. 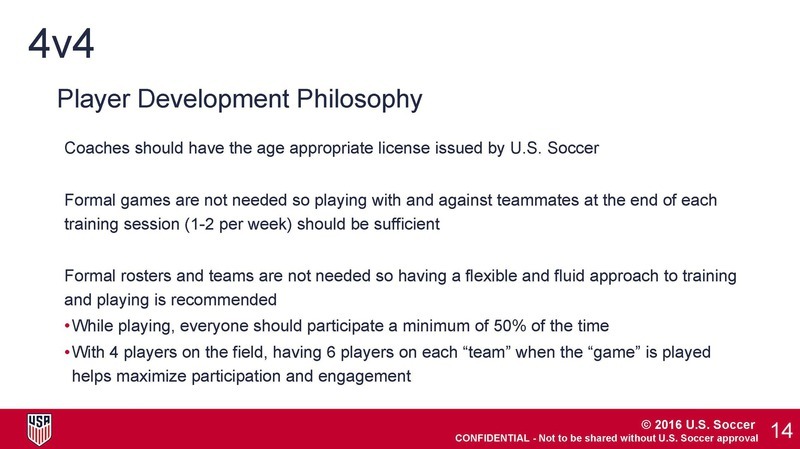 All travel coaches must have completed at least the "F License." 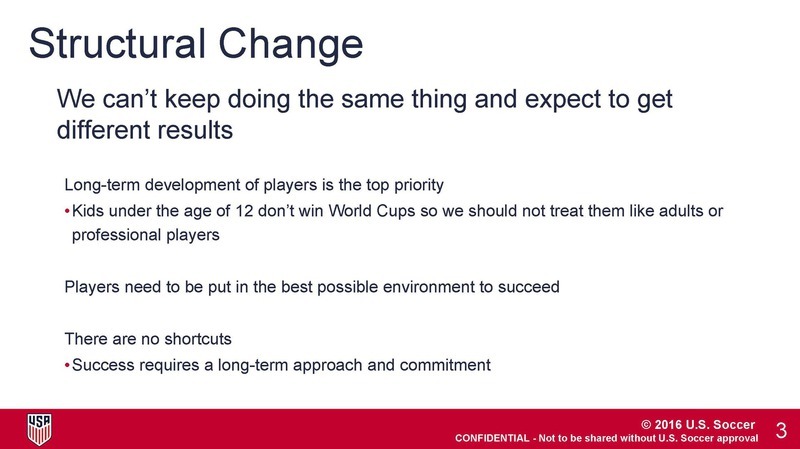 If you have not taken the course you must take it as soon as possible. 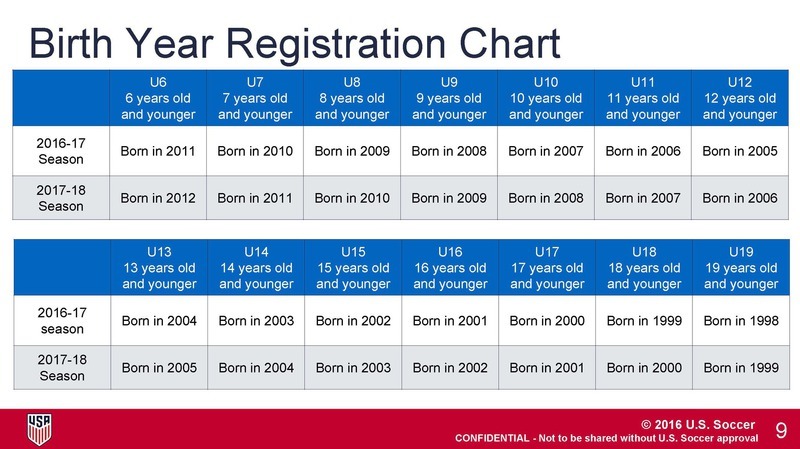 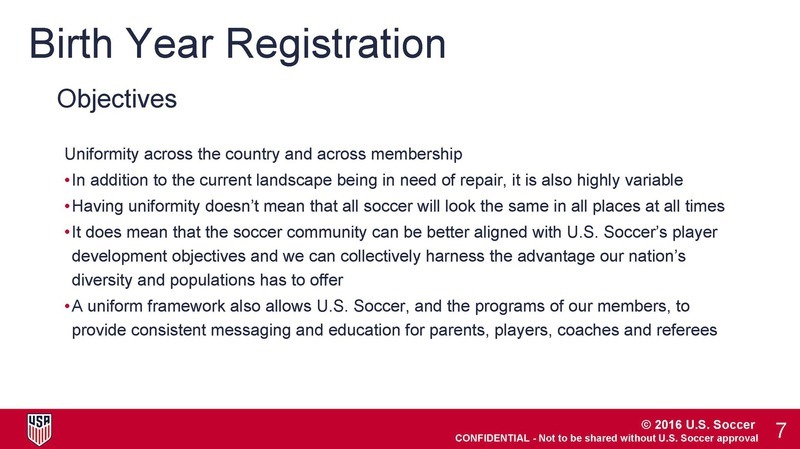 Click here for F License information and Course Registration. 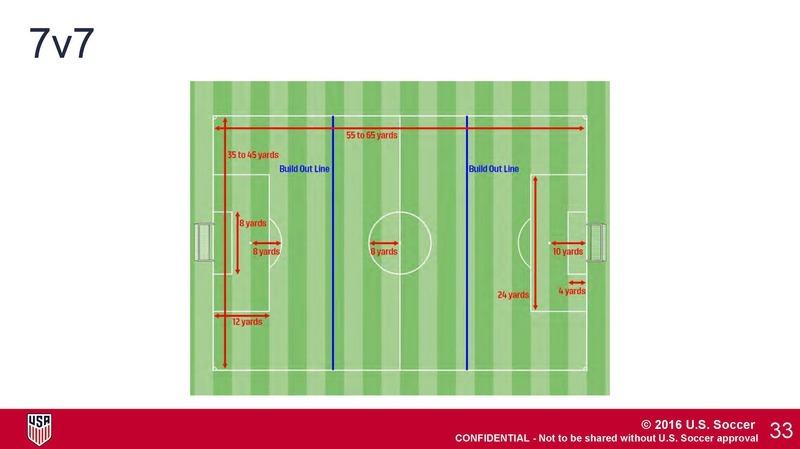 Lost your F License? 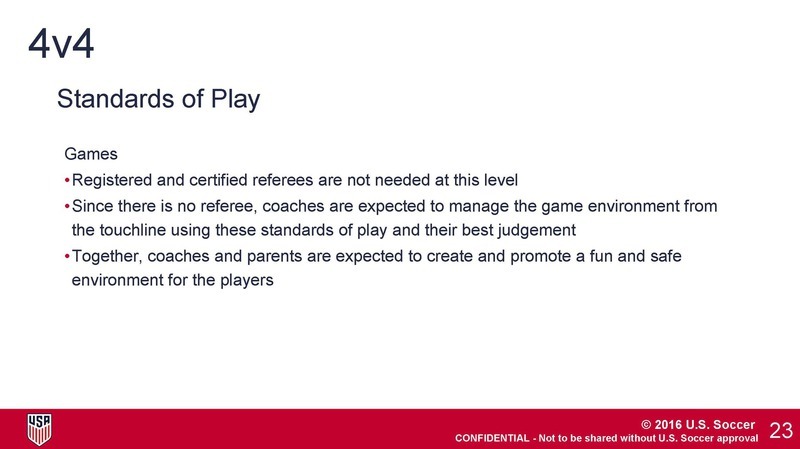 Request a copy. 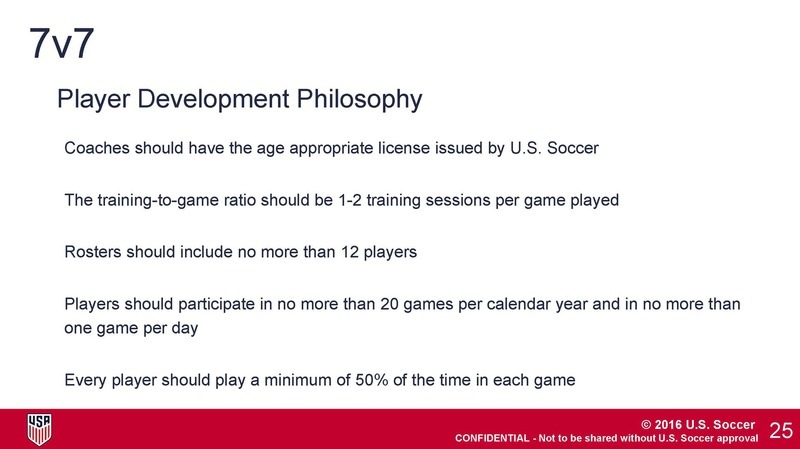 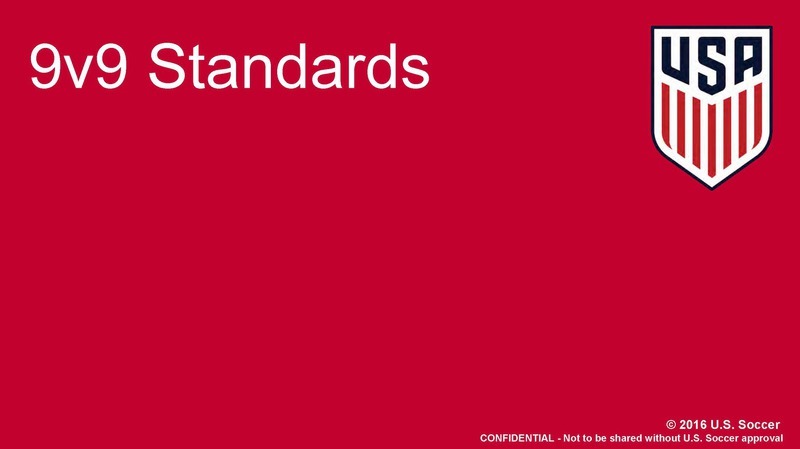 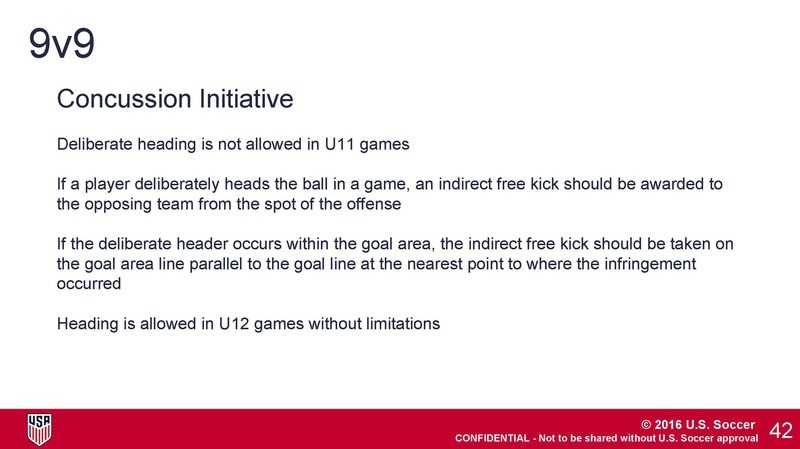 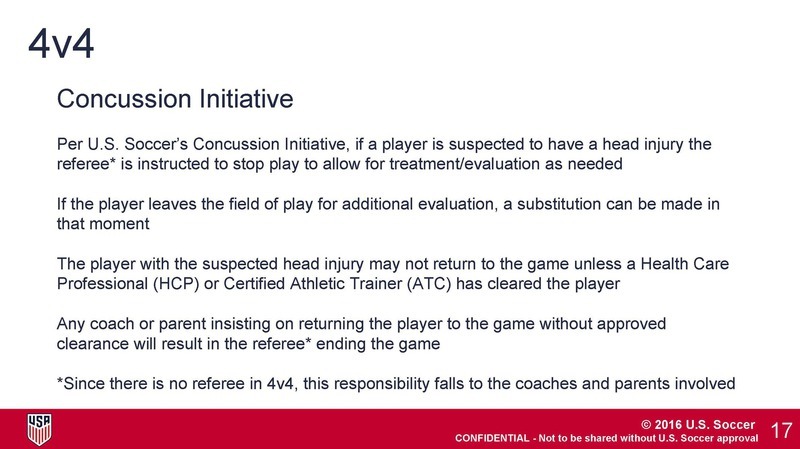 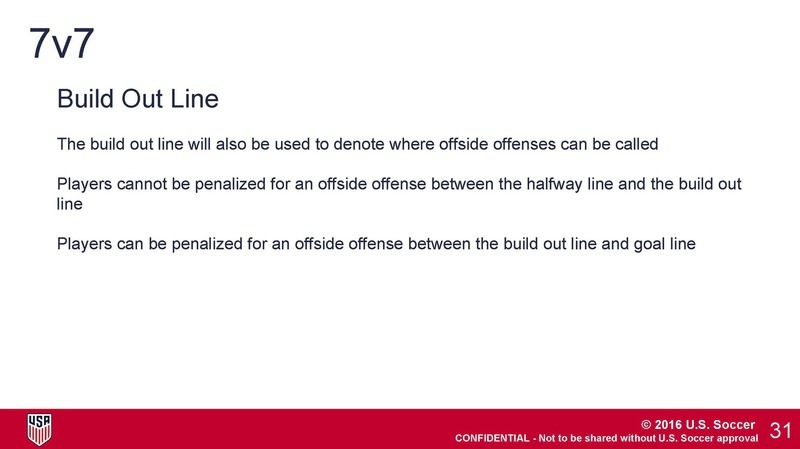 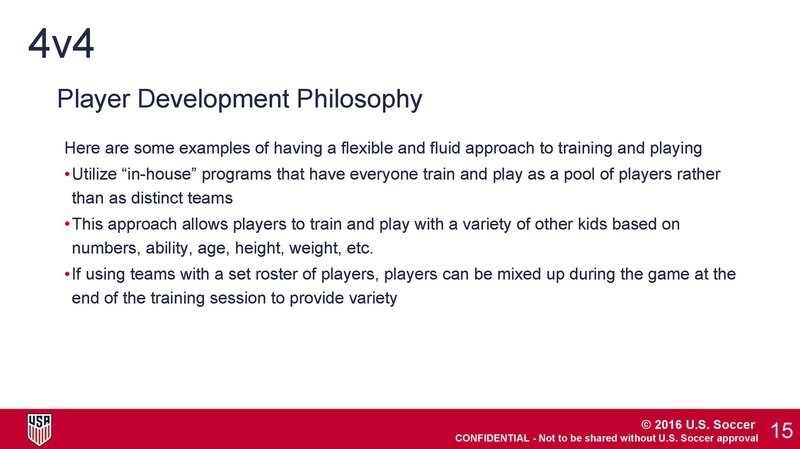 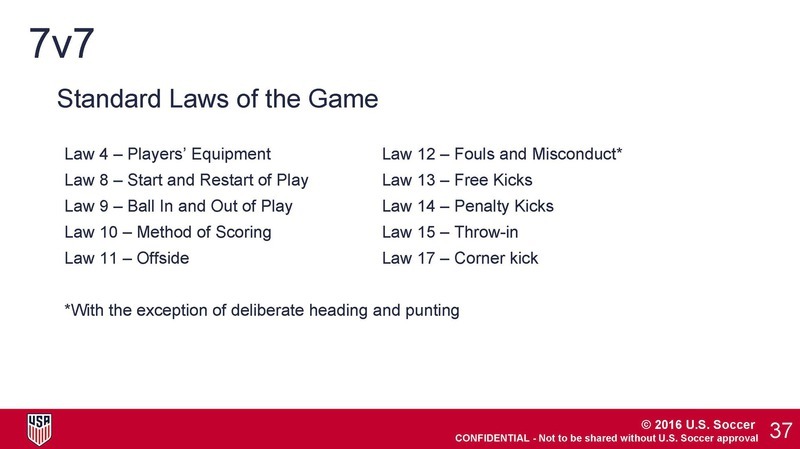 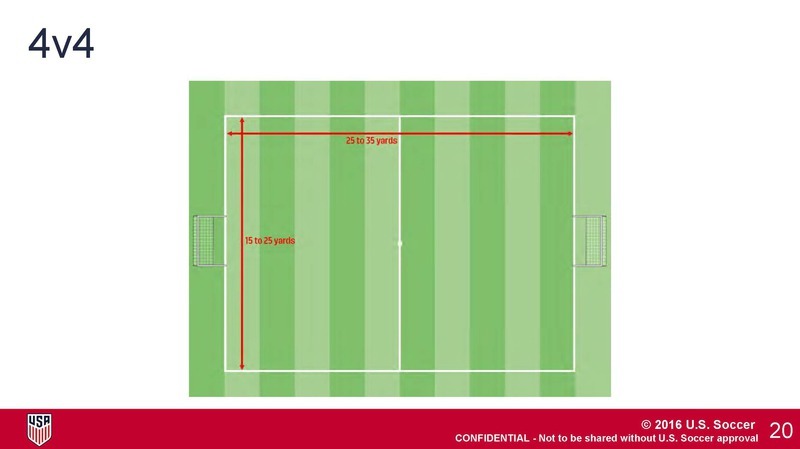 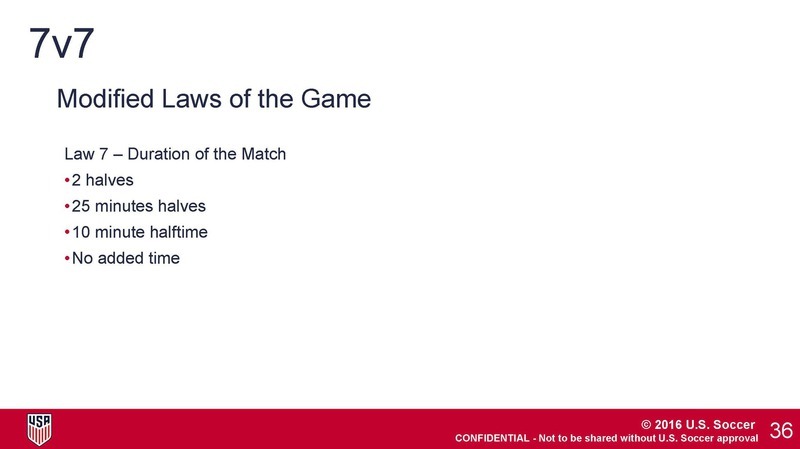 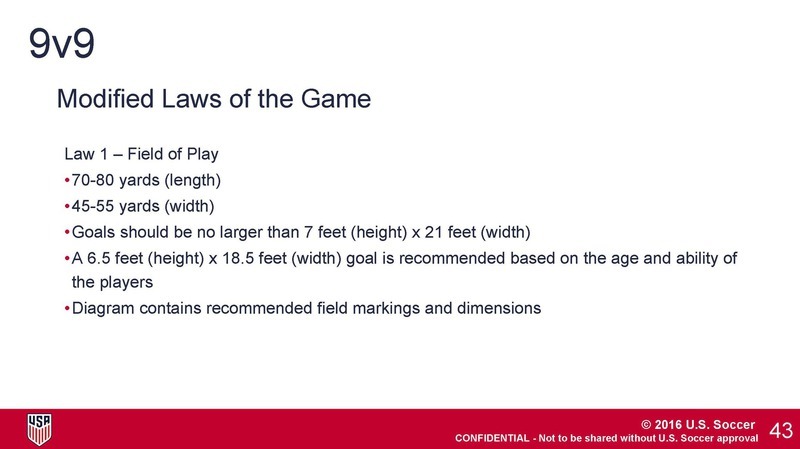 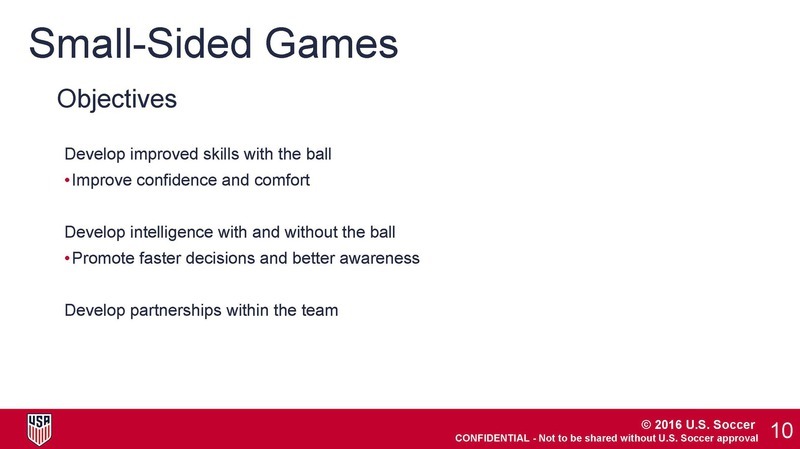 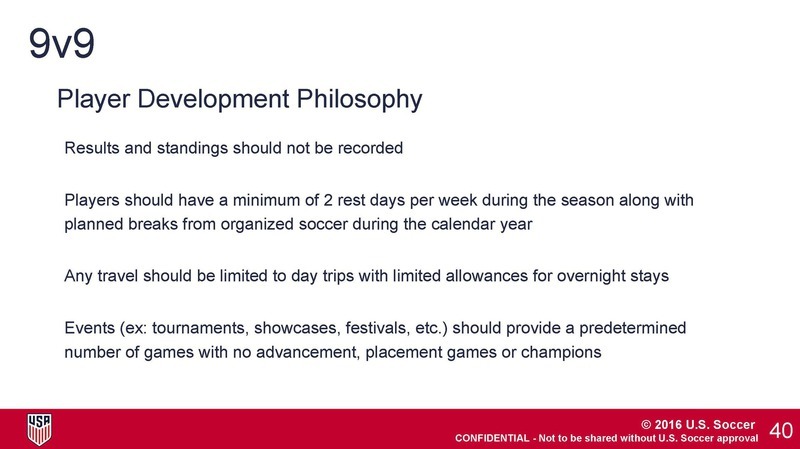 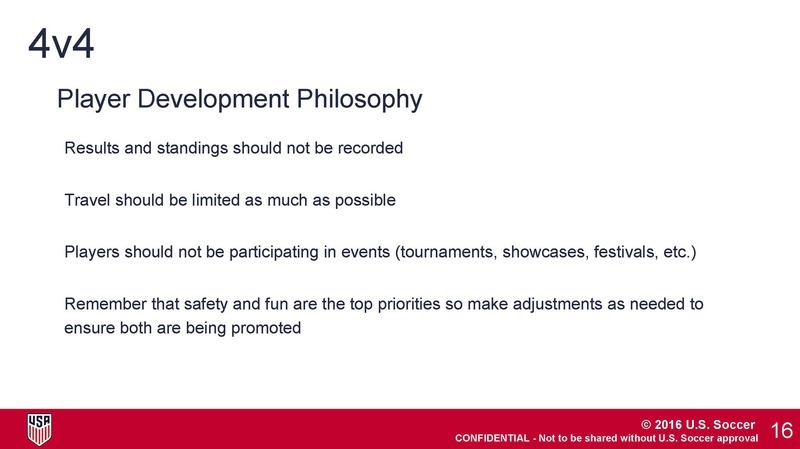 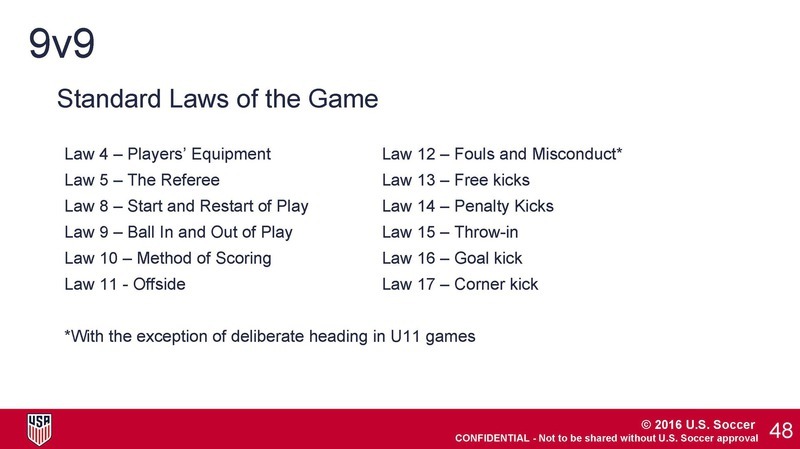 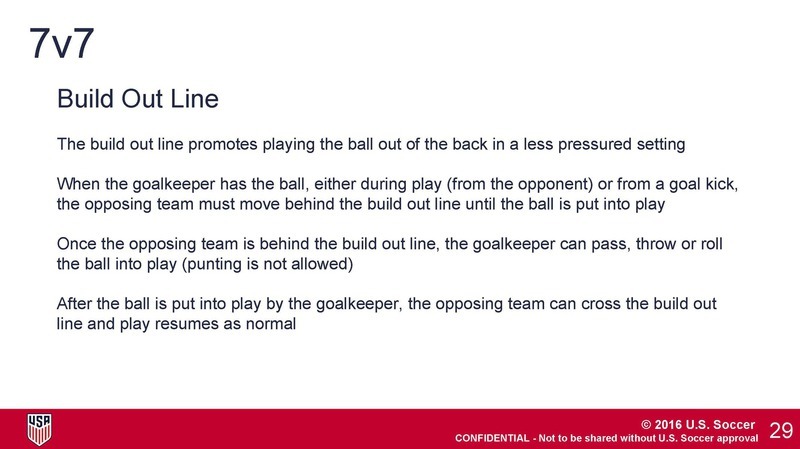 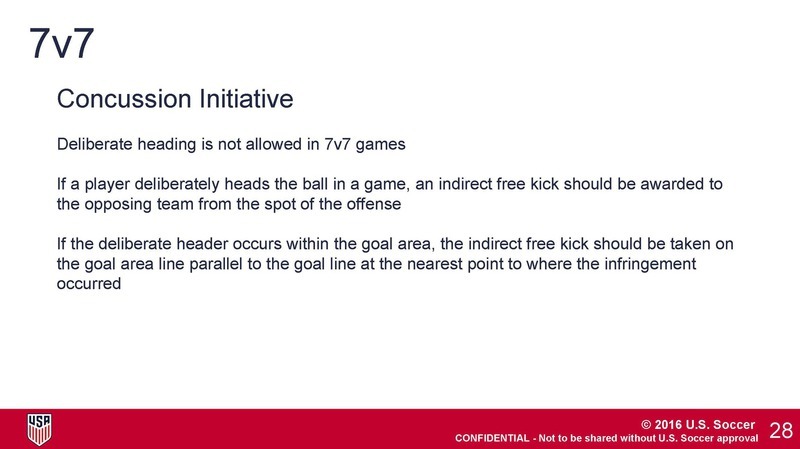 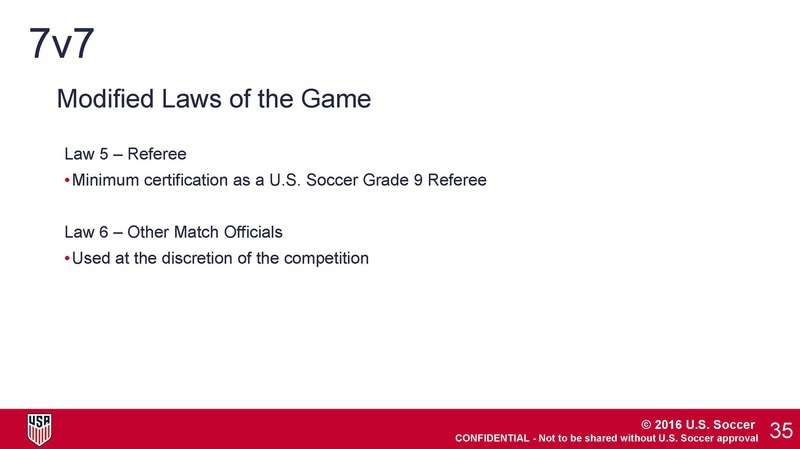 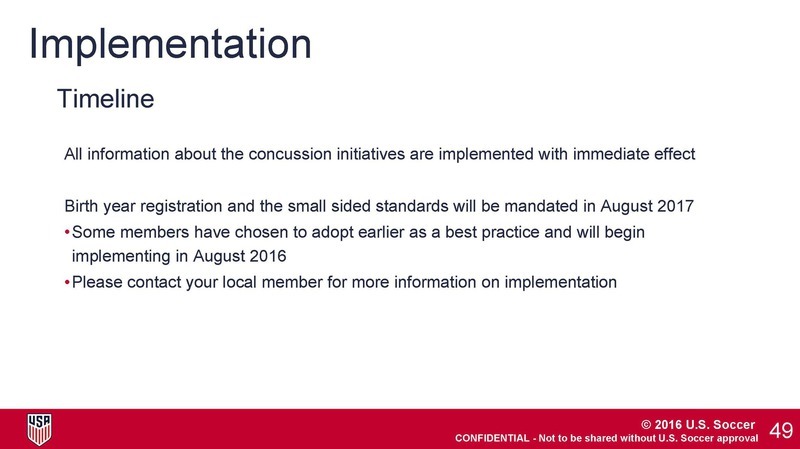 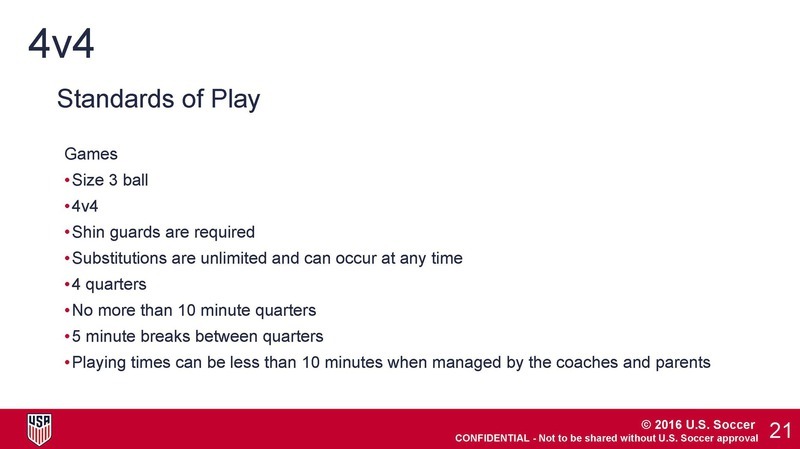 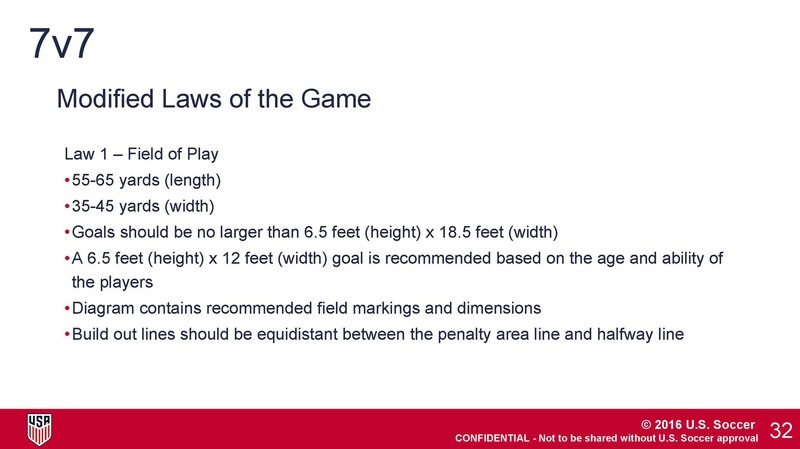 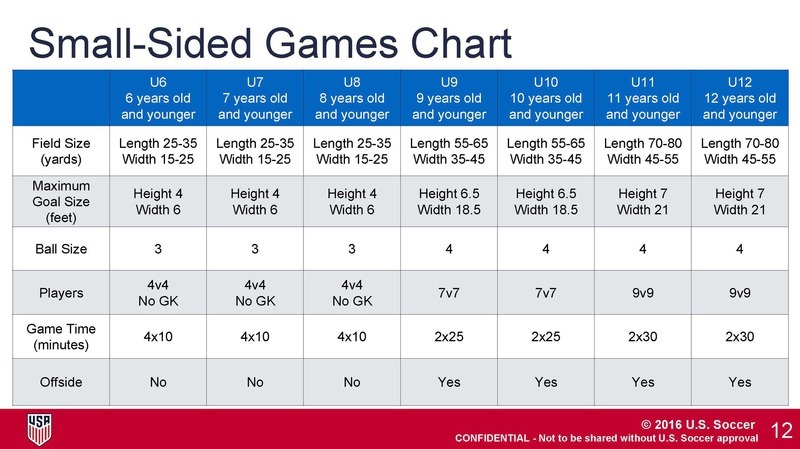 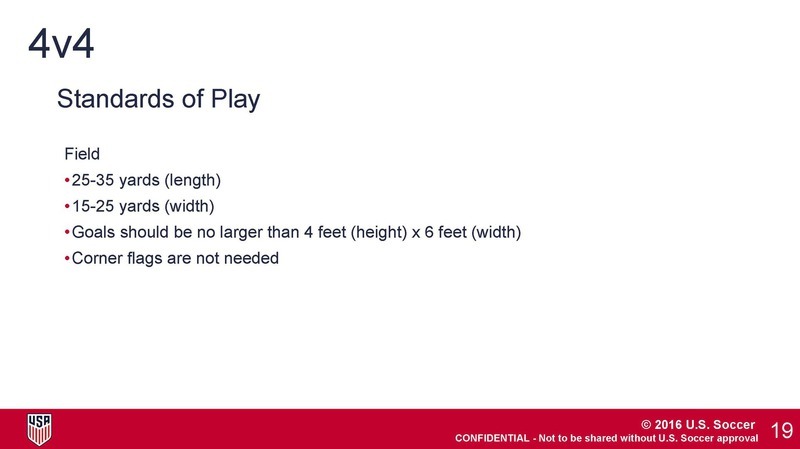 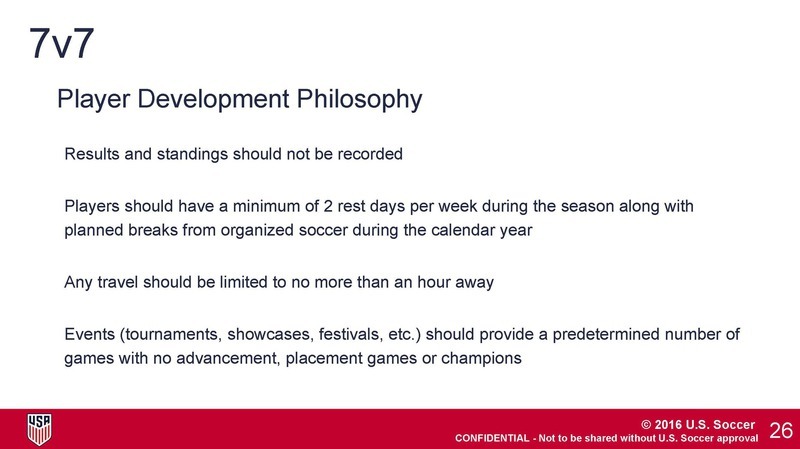 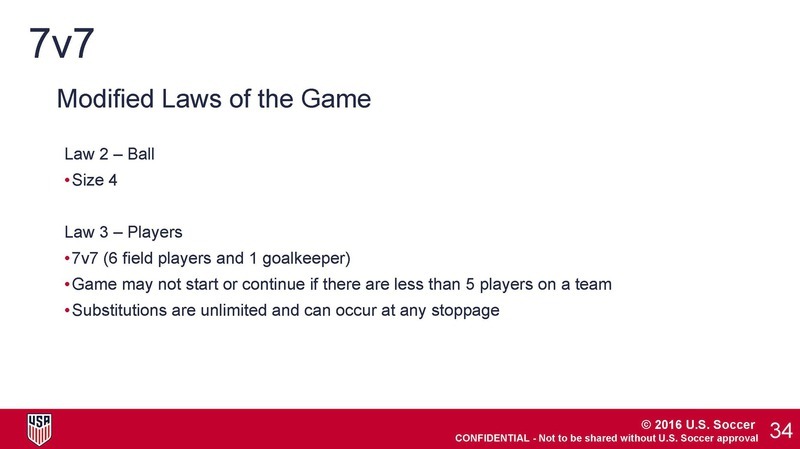 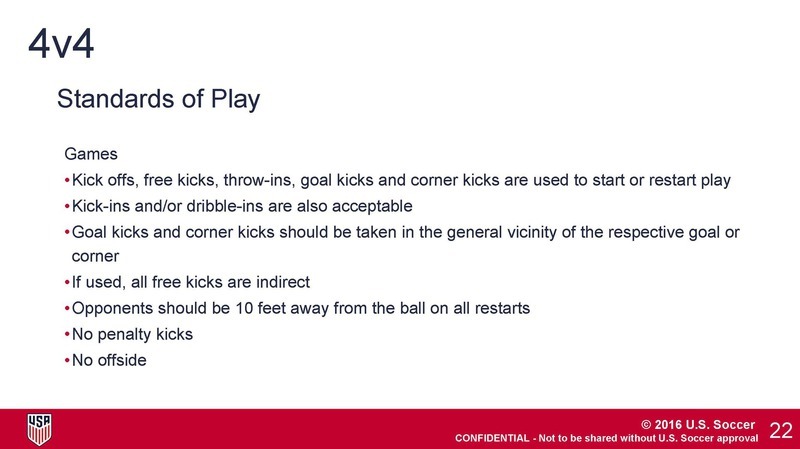 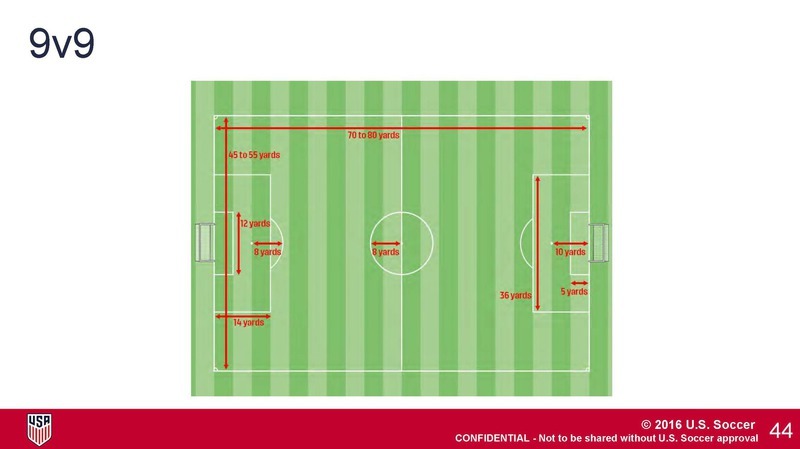 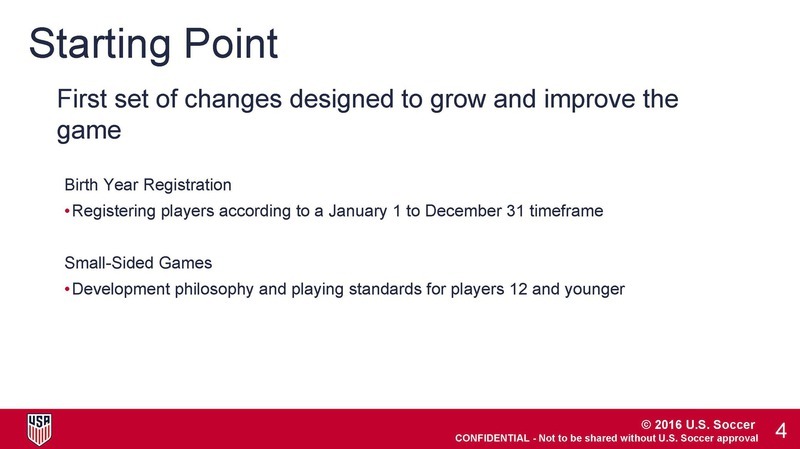 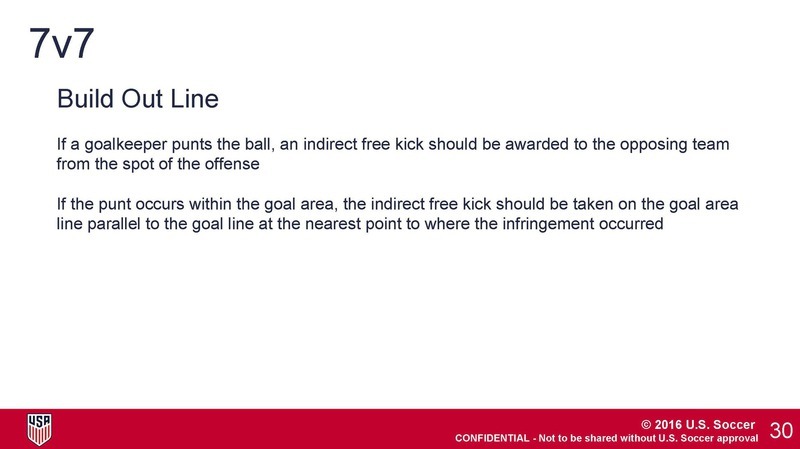 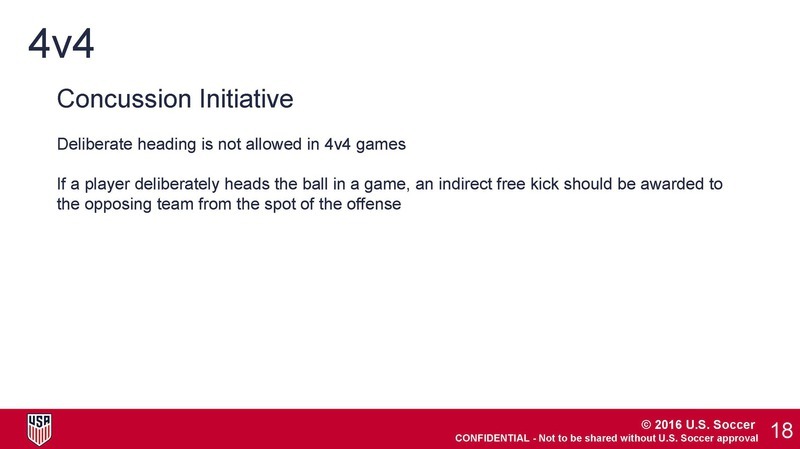 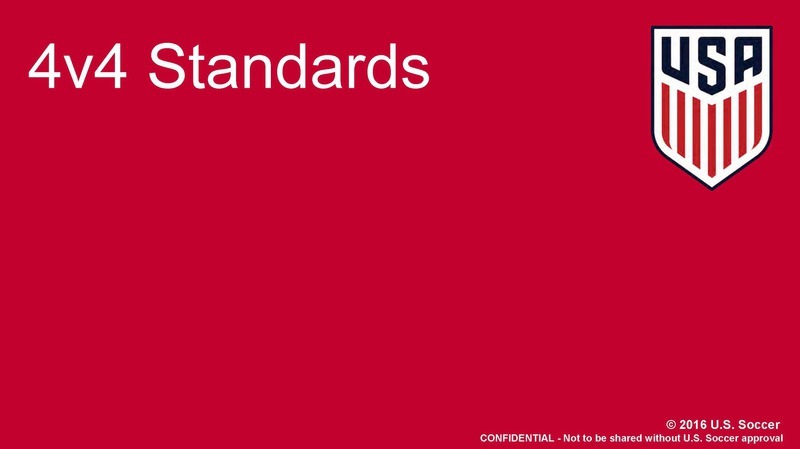 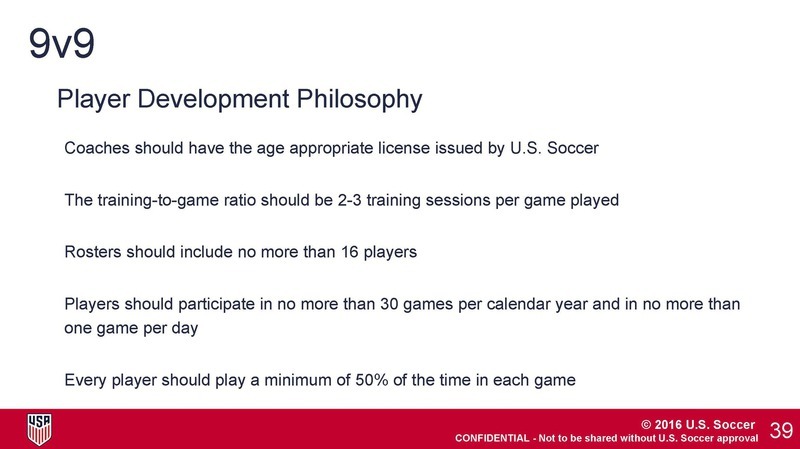 All coaches must complete the Laws of the Game US Soccer Video. 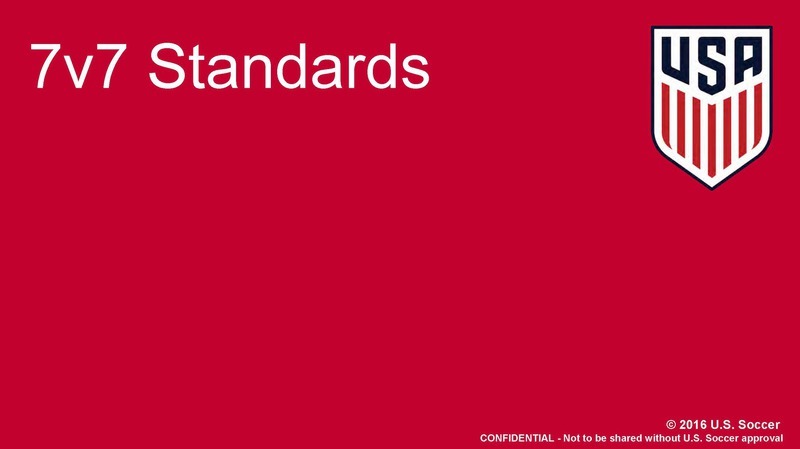 National "E" component. 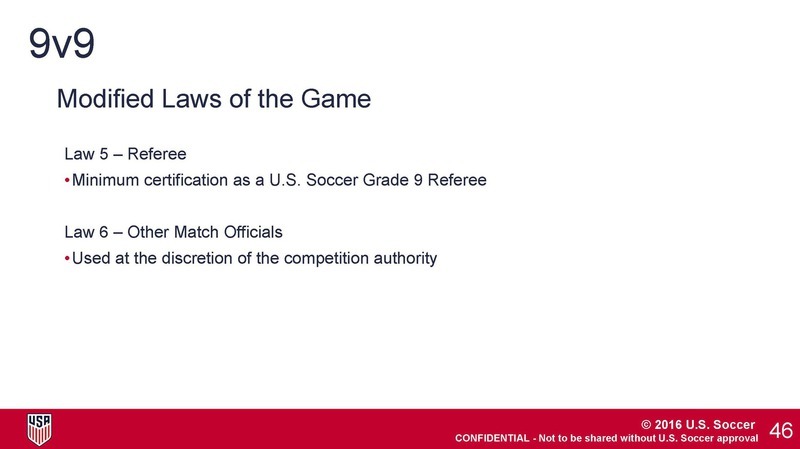 (Code: MCYSA). 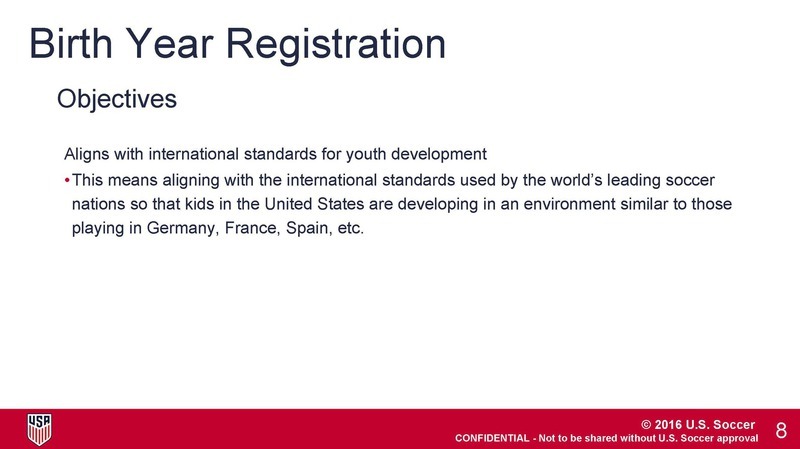 A certificate will be mailed to you.